Pipe Corrosion – Prevalent in unprotected traditional steel and thin walled steel pipe, both internally and externally, through the presence of oxygen in water. Although plastic pipework is generally considered corrosion resistant there can be a vast difference in life expectancy across different plastic types and some are much more susceptible to environmental impact than others. Internal corrosion is often the result of insufficient levels of corrosion inhibitors in the water treatment system. Externally, pipework that hasn’t been sufficiently painted with a anti-corrosion paint will be susceptible. External pipe corrosion can also be common under lagging, where air has been able to get between the pipework and the lagging material and then condenses and pools causing pitting. This is often not identified until the lagging has been removed for inspection or replacement. 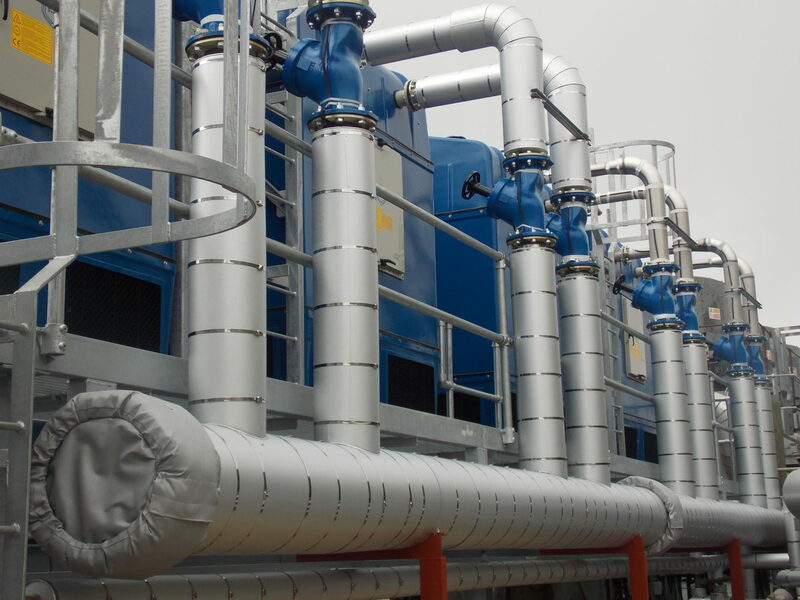 System Design – Undersized or convoluted pipe routes can significantly increase system resistance therefore making the pumps operate inefficiently and ultimately costing you more in energy and causing potential issues such as cavitation. What might have been suitable at the point of initial install may now be obsolete or not appropriately sized to handle an increase in system capacity. Alterations can leave potential dead-legs in the system that should also be removed. Incorrectly installed valves and undersized balance lines may also be causing you problems and potential loss of system water. Flexibility – If movement hasn’t been accounted for in the initial installation then damage can be caused to the pipework resulting in repair or replacement. Certain pipes such as plastic are more flexible than metal therefore requiring fewer elbows however conversely can require special supporting arrangements. Should I replace like with like? Of course, there is no simple answer to this question but looking at the reasons behind the pipework replacement will help you when choosing the most suitable solution. 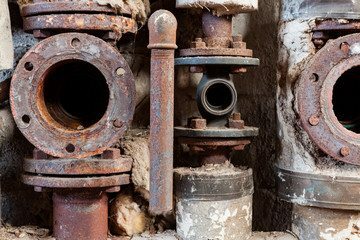 In the case where corrosion is the driving force consideration should be given to corrosion resistant pipes such as stainless steel and plastic pipe. Although appropriate levels of corrosion inhibitor within the water treatment should help to protect the internal surfaces of steel pipework , where there is a break in treatment or a delay between installation and commissioning – corrosion can be rapid and result in costly early replacement. The inclusion of filters and strainers can help protect against further damage to the system but this is additional cost which could be avoided through the use of corrosion resistant materials in the piping where corroded pipework is the primary cause of suspended solids in the system. Stainless steel is a good alternative and although a more expensive material than traditional mild steel pipe, over it’s lifetime it can cost less in terms of ongoing maintenance and protection. It is ideal in open systems where fresh oxygenated water is being added and lost from the system frequently. i.e. cooling tower make-up water. Stainless Steel pipes are smooth bore and extremely resistant to corrosion. Plastic pipes are available in wide variety of types including PVC, UPVC, Polythene, ABS, PB, PP and PE-X. 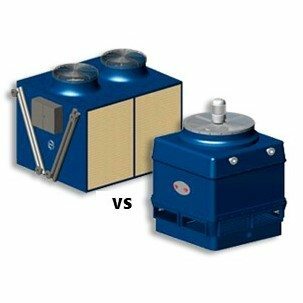 There main advantage is that they are easy to install and corrosion resistant. They do however have lower temperature and pressure ratings than metal pipes so consideration should be given to the application before replacing steel with plastic. Plastic pipe also lacks the inherent strength of steel meaning that significant levels of additional support are required on installation. This is particularly apparent on vertical rises or long horizontal expanses where bowing is common place. If not protected – plastic pipes can suffer from oxygen diffusion where, over a period of time oxygen is able to diffuse through the plastic and becomes dissolved in the water. Although this does not corrode the plastic pipe as such, it will attack metal components and metal pipework around the system. Where the pipework is being replaced due to a change in system design it is important to understand why the current pipework is no longer suitable. If there is a change in capacity of the heating or cooling equipment for example, then it’s important that the replacement pipework can accommodate any increases in pressure and flow so as not to overwork the pumps. Likewise if the pipework is being replaced and the capacity of the system has reduced, it may be an opportunity to reduce the pipe size diameter and save money. A change in process can mean an increase or decrease in liquid temperature therefore it is important to account for this when choosing the pipe material. Metal pipes have higher temperature ratings than plastic. Although some plastic can withstand higher temperatures for temporary periods, it can prematurely age the pipe. Water hammer – this is where an automated valve closes rapidly resulting in shock waves through the water. Equipment Vibration – Typically on start up where equipment is installed on AV mounts and the vibration passes through the resonant frequency of the vibration isolation system. What if I need to make alterations to existing pipework? 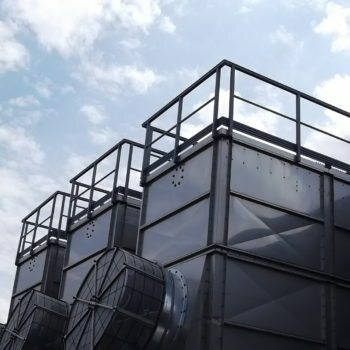 Although it is possible to connect different materials together using flanged connections, best practice is to use the same material throughout the system loop. The rating of the system is defined by the weakest part therefore any lower grade pipework or valves could have a negative effect on system performance. For example, where plastic pipe is connected to steel pipe and the application is under high pressure or high temperatures, the plastic must be selected to withstand these factors. Where connecting two dissimilar metals together a dielectric fitting should be used to prevent accelerated corrosion and deterioration in the piping system due to galvanic and stray currents. Galvanic corrosion can be quantified by determining the difference in anodic indexes for the dissimilar metals. For example between 300 series stainless steel (18% chromium) which has an anodic index near 0.50V and carbon steel which has an anodic index near 0.85V. This gives a difference of 0.35V. Outdoor applications should not have an anodic index difference more than 0.15V, applications for unconditioned indoor spaces should not exceed 0.25V, and climate controlled spaces can tolerate up to 0.5V difference. All pipework has a finite life determined by its function and material characteristics. It is important that the correct flushing and commissioning procedures are adopted from the outset. Often systems are commissioned and then left untreated to full operation of the system and it is during this period that damage is caused. With appropriate levels of corrosion inhibitors and external anti-corrosion protection, steel pipework can last for many years. 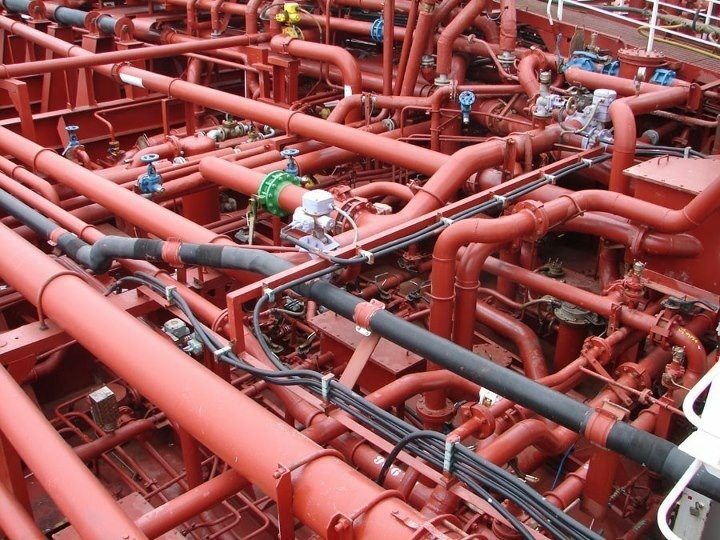 System design changes may bring about an opportunity to simplify and improve system efficiency through using different materials and pipe sizes. When adding to existing systems it is important to ensure the new pipework design and material is suitable for the total application.